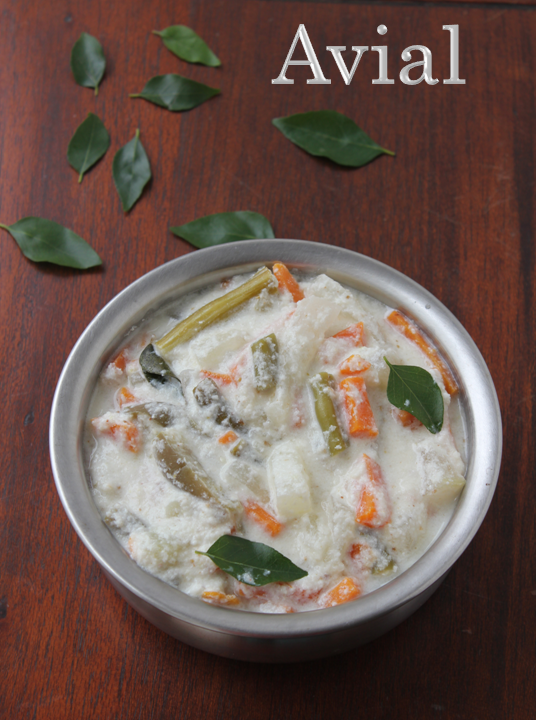 Avial is a vegetable curry in Kerala style.Though it is a Kerala Dish it has become very popular in Tamilnadu also. Avial is part of every festival menu in Tamilnadu and the Onam Sadhya..My mother used to make avial with onion sambar and potato curry on sundays.I do make it some times but not very often. Avial is a coconut based curry with a lot of vegetables in it.Since it has lot of vegetables like white pumkin,yam,carrots,beans,potato,brinjals,snake gaurd,broad beans,colocasia,drumstick,raw banana, cooking them evenly and not allowing them to get mushy is a challenge in this curry.Some of the vegetables like yam,colocasia,drumstick,raw banana,beans and carrots take a longer time to cook than other vegetables like white pumkin,brinjal etc.So cooking them in batches and combining them in to a tasty curry could be challenging!!! 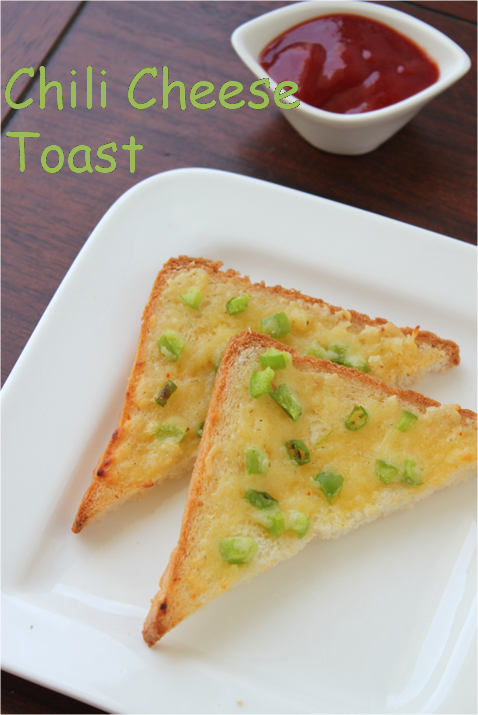 Chili Cheese Toast is a perfect short eat or a tea time snack.Actually i can even lunch on it( i really like it).All of us like it and it is sometimes a starter order in places like Little Italy(it is a restaurant in chennai).It is very simple and easy to make that even kids can make it on their own because it is most kid's favorite snack!!! !I am sure it will be a great after school snack!coming to the recipe...It is actually nothing but bread slightly baked with a coating of cheese and chilies. 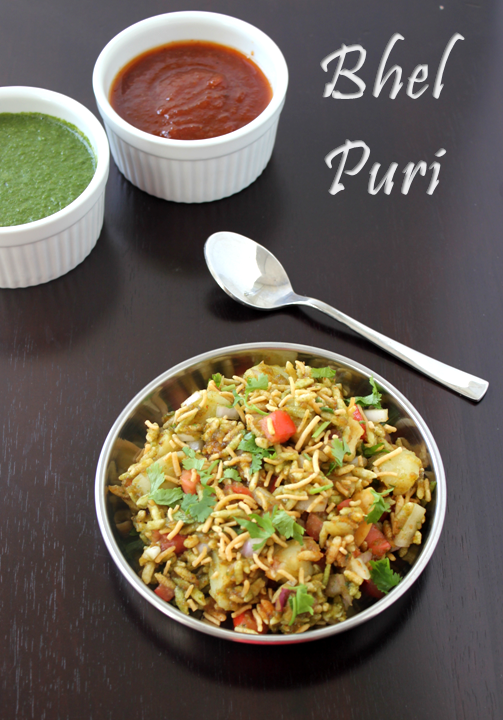 Bhel puri is made with puffed rice,sev,potatoes,onions,chaat masala and the two types of chutneys.One is a sweet and tangy chutney with dates,tamarind and jaggery and the other is green chutney with coriander leaves,green chillies and lime juice. 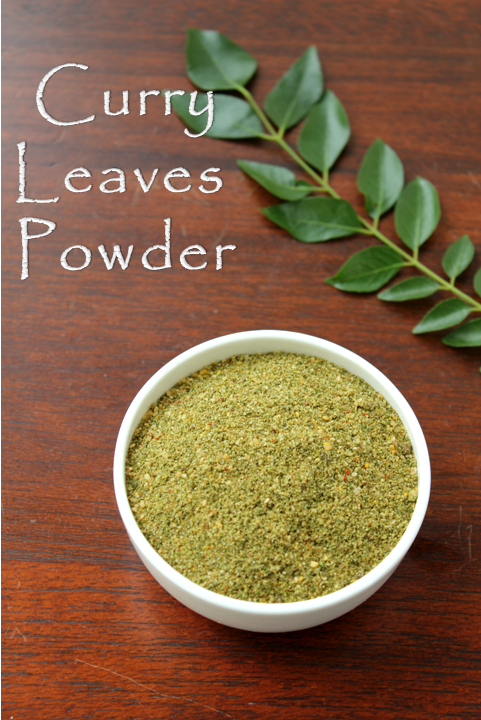 Curry Leaves powder or karivepillai podi is a dry version of the curry leaves thogayal.It can be stored for a much longer period and it is easy to carry when you are travelling.It is easy and simple to make and it can be used as an alternative to 'dosai milagai podi' so you can have it as an accompaniment for idlis and dosas along with some gingelly oil. Curry Leaves has enormous benefits and its iron content helps ladies overcome their menstrual problems too.So it is advised to include lot of curry leaves in our diet and when it is consumed like a thogayal or karuvepillai podi you do not throw away the leaves like we do when it is put in sambar or other dishes. 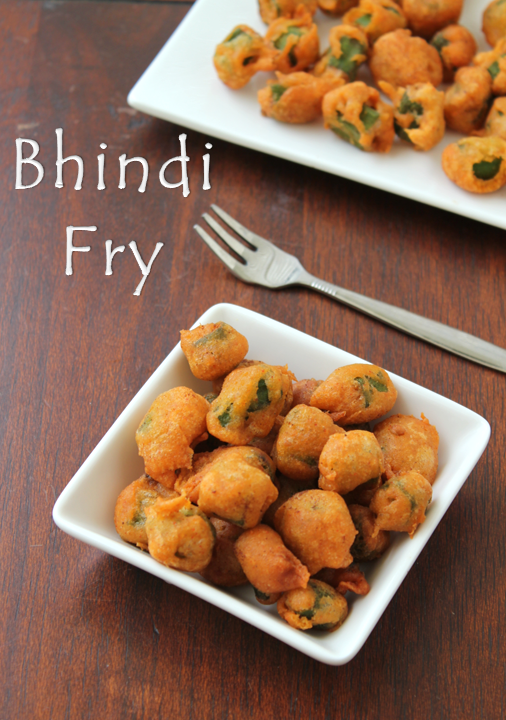 I have been wanting to make this yummy bhindi fry in a while but somehow it didn't happen.Yesterday my neighbor uncle sent some vegetables from his farm it was correct quantity for me to do this fry,so i thought let me make it.People usually make this only in weddings and festival menus since it is deep fried.I usually wait for a second serving of this bhindi fry in the wedding. 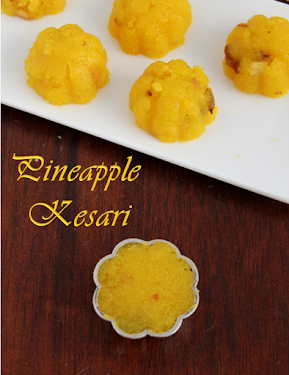 It is crispy, crunchy and spicy and makes an excellent side for any south Indian gravy like Sambar. I already posted the salt version of the pidi kozhukattai. 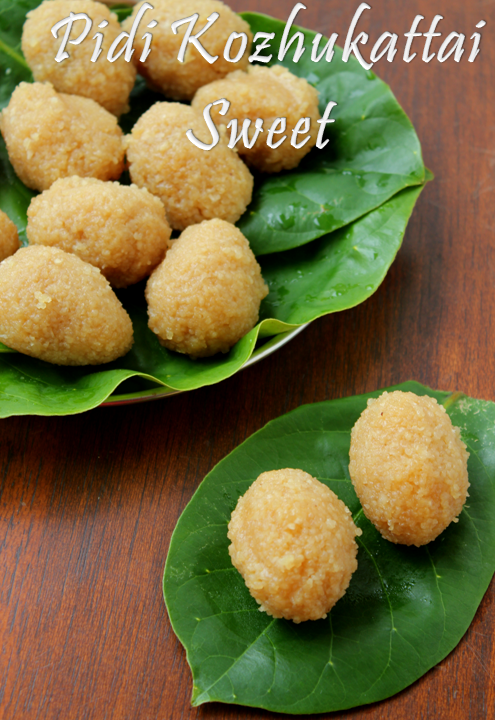 There are not many recipes on the web or books for the sweet pidi kozhukattai or vella pidi kozhukattai but my mother used to make both varieties whenever she makes this kozhukattai. 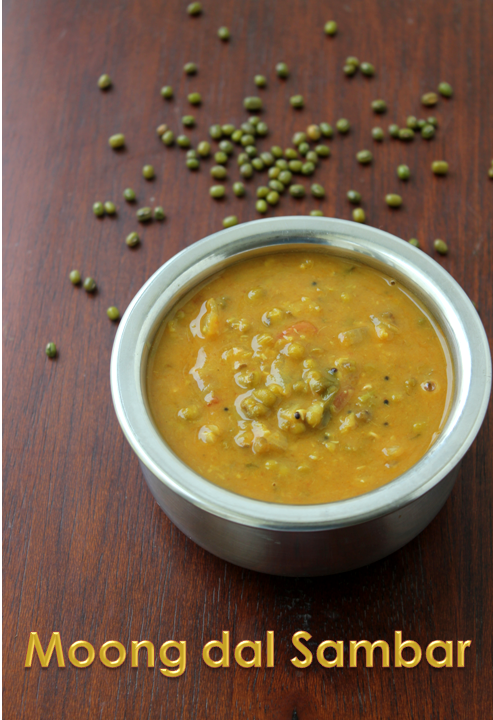 Green gram dal Sambar is a variation from the regular South Indian sambar which is usually with the Tur Dal.I have come across this recipe but never tried it before.I soaked this dal in the morning to make dal (which i make regularly)but somehow could not make it!!! !I just decided to make a sambar with this soaked dal. 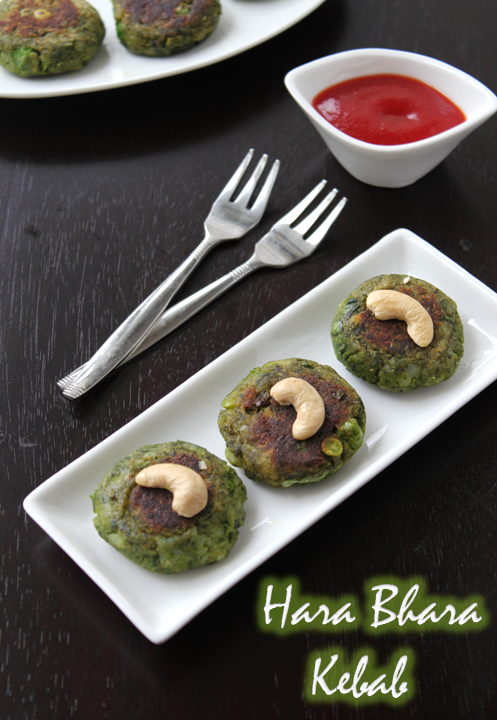 Needless to say the benefits of green gram dal it is high fibre,protein rich and easily digestible.It is a simple easy and healthy recipe!!!!! 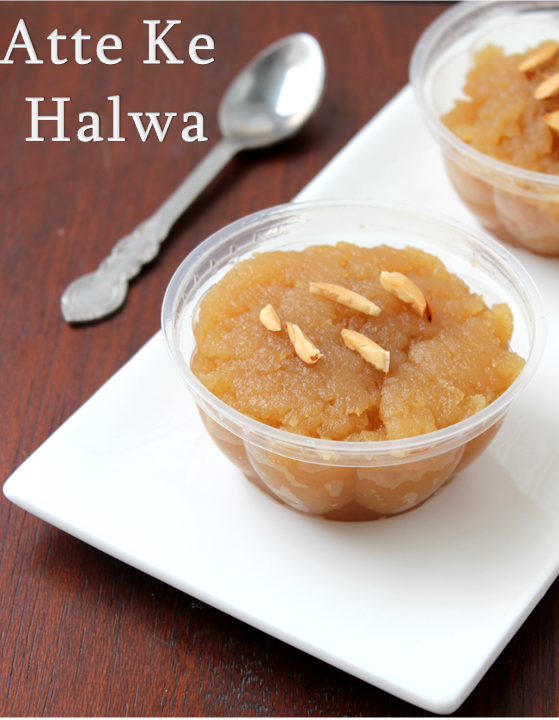 Atte Ke Halwa is nothing but halwa made with wheat flour.You will not believe that it is so simple to make!! !.I remember when i was in college One of my Gujarati friends used to make it so easily.She also mentioned to us that in north india it is made when they were fasting and during pooja times.It is quiet heavy and filling because it is made out of wheat flour,sugar and ghee.So watch out if you are eating in non fasting times!!! !